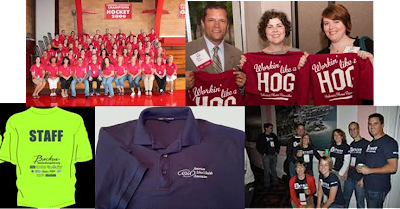 Over the last 35 years as an association executive, I’ve had eight or nine boards question why we had so many staff at the board meetings and/or conventions. I usually smiled because we did a lot of “hand-holding” for these same board members. Now, part of me knows that it is hard enough to know what we do let alone how we do it. And, part of me wanted to scream because these board members would “jump on us” if they or their spouse had to wait in line at registration. Here are three examples that help answer the board’s questions from the eyes of a possible attendee. My wife and I stopped at a Fort Myers post office last month to get information about temporarily transferring mail back to Chesterfield. The mail person apologized that they had run out of materials because “we have all these visitors here this winter. After leaving, we looked at each other and wondered why the Post Office is surprised, after all snowbirds in Florida is an annual event. They should be prepared for it. On returning to St. Louis, my wife and I were on two separate flights ... her’s departed around 8 am; mine about 11 am. After getting through security, she texted me that the lines were really long and I should come through early. When I came through security about an hour later, there was only one family ahead of me. We talked about it later. TSA knows the busiest times for flight departures, why don’t they staff up for those times and then reduce staff during the “slow” times? Our response was “well, it is New Year’s Eve what did you expect?” And, then we got up, left and had a wonderful early breakfast at a local pancake house. All this reminds me of my time as chair of a church building committee. During a discussion on the size of the new sanctuary, one of the committee members said “we probably can’t afford to build a sanctuary big enough for everyone who attends Christmas and Easter services.” So, then he told us he had conducted a regression analysis of worship attendance for the last several years. And, then, we built a sanctuary only big enough for “normal” attendance assuming some member growth. As association executives, we know we can’t staff up to keep anyone from waiting. We should, however, staff appropriately for the schedule and attendance. This may mean using volunteers or convention center staff during peak demands. So, when your board questions about the number of staff, let them know how it looks from the eyes of a member or attendee.